People eyeing the five new luxury homes on the NW Natural Street of Dreams tour through Aug. 27 might linger in the kitchen. Who wouldn’t want to run their hand along the dark vein in the marble-like quartz counters, open the wine cooler and check out the 60-inch Thermador range? On other streets, there are older homes, some remodeled with updated kitchens, that would interest home chefs as well. Some residential properties have two or more kitchens. The late Portland businessman and philanthropist Earle M. Chiles’s Fountain Plaza penthouse in the Koin Tower at 1414 SW 3rd Ave #3001 in Portland spans two condos. That means two kitchens, two wine refrigerators that hold 190 bottles, two wet bars and three balconies. It’s for sale at $3.29 million. 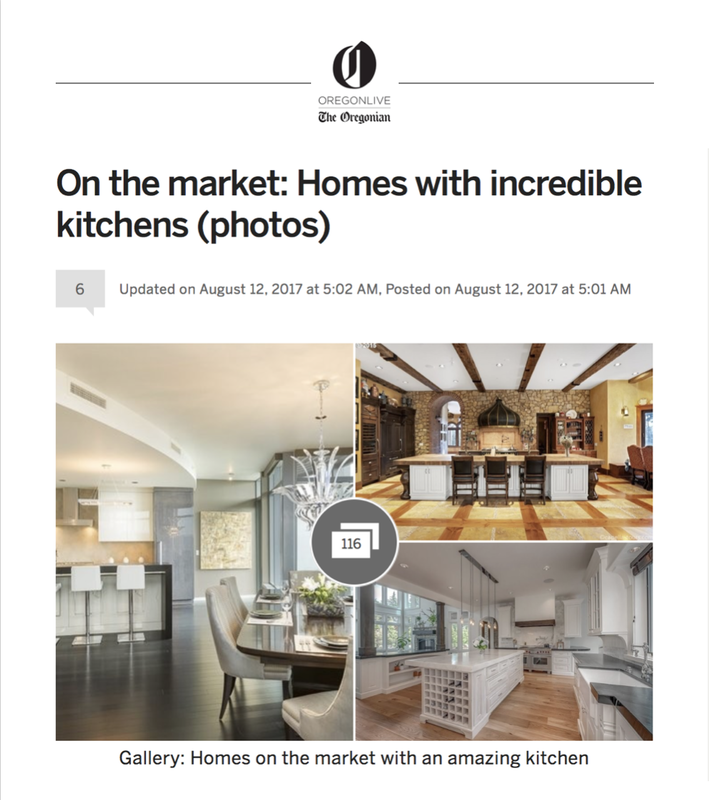 In this week’s real estate gallery, we look at homes on the market or recently sold that have incredible or interesting kitchens.